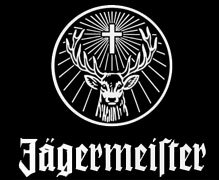 We are currently running many different competitions, check below for the latest competitions and for information on what you can win and how you can enter. As you should all know Bowling For Soup are heading back over to the UK for their brand new package tour called 'Party In Your Pants 2009 Tour' which features Bowling For Soup headlining and MC Lars, Zebrahead and The Leftovers supporting, the tour starts on the 17th October in Glasgow and finishes on the 29th October in London. 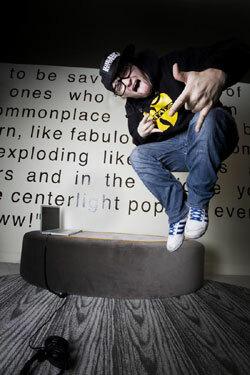 Which record label is MC Lars currently signed with? E-mail your answers and the gig you would like to attend to Trigger@alternativevision.co.uk with 'Party In Your Pants’ as the subject. The competition closes on Monday 12th October 2009 where we will announce the winners online who will receive a pair of tickets to the event, we will also contact the winners via e-mail. 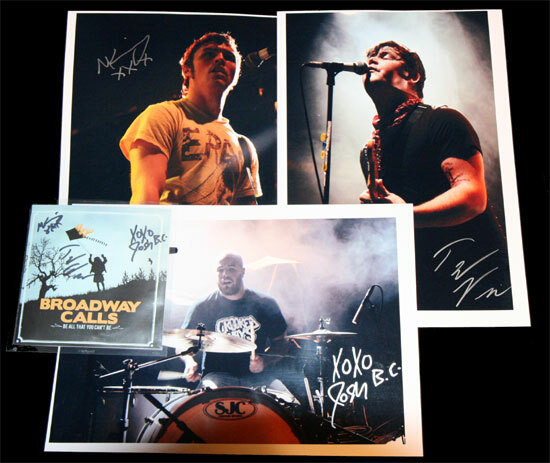 We got Ty, Matt and Josh from Broadway Calls to sign some exclusive A4 photos that we took of the band back at their show supporting Alkaline Trio at London Koko on the 17th February 2009, we have also got the guys to sign an exclusive promo copy of their new single ‘Be All That You Can’t Be’. To be in with a chance of winning the three exclusive signed photos and promo single, just answer the below simple question. What was the debut Broadway Calls EP called that was released back in 2005? E-mail your answers to Trigger@alternativevision.co.uk with ‘Broadway Calls’ as the subject please remember to include your name and address with your answer, we will pick the winner at random who will be notified by e-mail. Check below for images of the prizes. We are giving away a pair of tickets to White Air Festival 2009 and to be in with a chance of winning tickets to the festival all you have to answer this simple question. 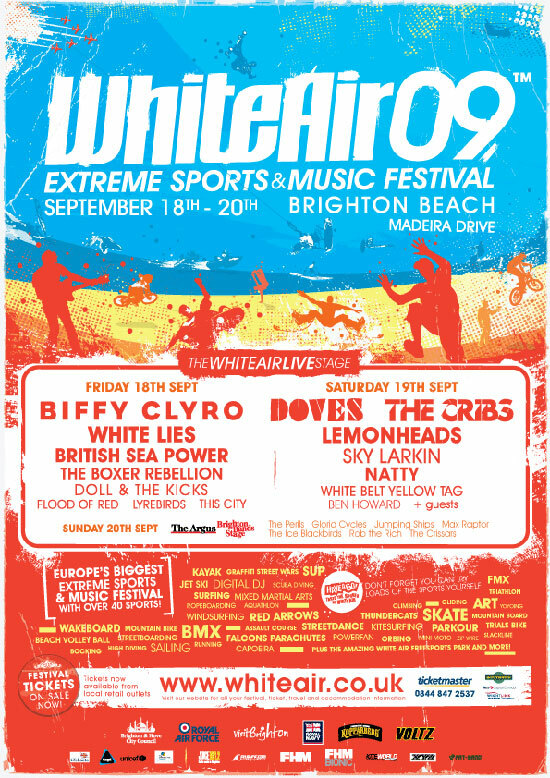 Biffy Clyro are headlining the Friday night of White Air Festival 2009, but what is the name of their outstanding new epic single? * Please note that we do not provide transport or accommodation, so if you win this competition you have to be able to make your own way to the festival and have your own sleeping arrangements. The competition closes on Friday 11th September 2009 where we will announce the winners online who will receive a pair of tickets to the event, we will also contact the winners via e-mail, the competition closes on this date so it gives us time to post the tickets out to the winners to ensure they receive the tickets in time for the festival. 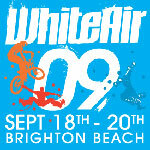 For more information on White air 2009, check the flyer below.